Forget the online coding schools and the expensive web designers. Thanks to the wide variety of website builders currently available, creating the perfect digital domain is now just a few clicks away even for those who don’t know the first thing about HTML code or cascading style sheets. Wix can’t be beat when it comes to price and value. Weebly is the best option for ease of use. Web.com is a top-notch choice for ecommerce stores. Here’s a more detailed look at some of the best options on the market right now. For anyone seeking a free option that offers all the essential web-building features, Wix is the ideal solution. 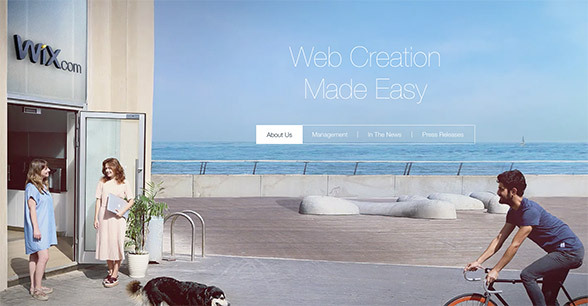 In business since 2006 and with 10 offices in five countries, Wix is in a class by itself. There’s a bit of a learning curve, and sometimes the elements don’t line up perfectly the first time, but with a bit of practice, there’s little that can’t be accomplished. The team at Wix is committed to providing their customers with the ability to create attractive, easy-to-navigate websites that don’t cost a penny. Though they do have some restrictions, Wix’s free plans are perfect for those who need to quickly develop a simple-yet-elegant web presence. Pricing plans start at just $5 a month (with banner ads), and even the best plan—complete with unlimited bandwidth, 20GB of storage, and a fully functional online store—costs only $25. Wix also has a few game-changing features that make it worth checking out, including the state-of-the-art Wix ADI feature. This is the company’s proprietary artificial intelligence. It asks the user a few simple questions and then builds a complete website from scratch. Wix sites are also easy to update and manage from a smartphone thanks to the user-friendly Wix app. Web.com has helped tens of millions of people get their sites online since it first hit the scene in the late ‘90s. Their Do-it-Yourself website design package provides users with everything needed to get up and running, including hundreds of starter templates, thousands of royalty-free stock images, and unlimited storage. Over the years, the team at Web.com has streamlined the web building process to the point where it’s as simple as choosing a preferred design, plugging in some content, and clicking “Publish." And to make things even easier, Web.com offers world-class customer service. Any user can enlist the services of the company’s friendly professionals with just a simple phone call. It’s worth noting, though, that Web.com charges considerably more than their most direct competitors. A basic plan runs $22.95 per month; for anyone who wants to add marketing tools, the rate is $32.95. Owners of ecommerce stores can expect to pay $42.95 for a basic store. Though the prices are a bit steep, they come with some pretty noteworthy perks: unlimited web storage, portfolio creation tools (which are great for bands, graphic designers, and other professionals), and even specialized layouts for different industries, including dental and chiropractic. 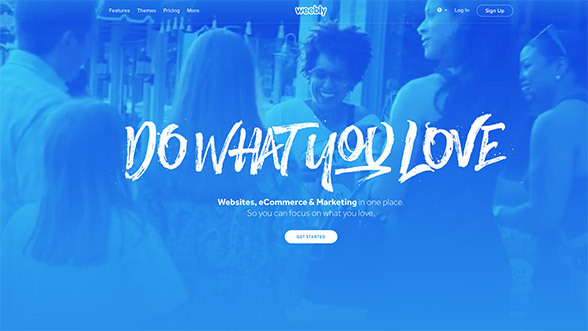 Based in San Francisco, Weebly​ is the backbone for more than 20 million websites. Their widget-based builder makes it remarkably simple for anyone to rapidly create an aesthetically pleasing site with all the trappings people have come to expect from a modern web presence. The main menu is located along the top navigation bar, and all editing features are clearly labeled and illustrated in the left column. For example, if you want to add a block of text to a webpage, just click the “Text” box in the left column and drag it right to the spot where the text should appear. Then start typing. It’s that simple. The Weebly website builder is also designed with search engine optimization (SEO) in mind, so prime search engine rankings are always within reach. Most website builders allow users to edit their meta tags and control how their site appears in search engine results, but Weebly takes the search factor even further with SEO-friendly HTML formatting and automatic XML and HTML sitemaps. Similar to Wix, Weebly also offers a free—albeit limited—plan that works beautifully for the majority of users. For those who don’t mind plunking down a few bucks for a paid plan, Weebly’s platform offers additional features and functionalities that match those of their big-name competitors. There’s an $8 Starter plan for personal websites, a $12 Pro plan for organizations and large websites, a $25 Business plan for small businesses and stores, and a $38 Performance plan for large ecommerce stores. 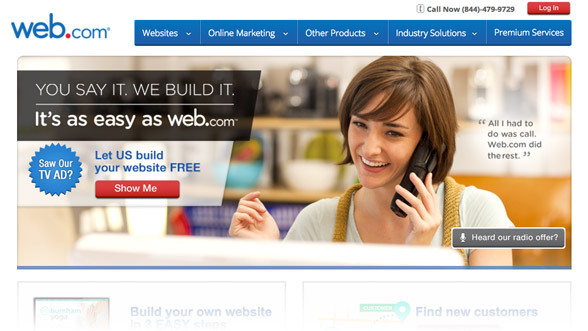 Each website builder has a variety of pricing packages to choose from. Use the table below to find the best package for your needs.